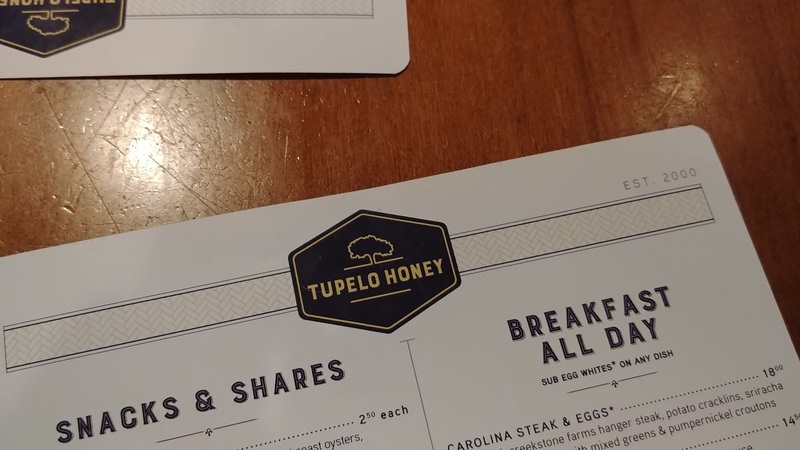 Our last day in Asheville we went to Tupelo Honey Cafe for late breakfast/early lunch. 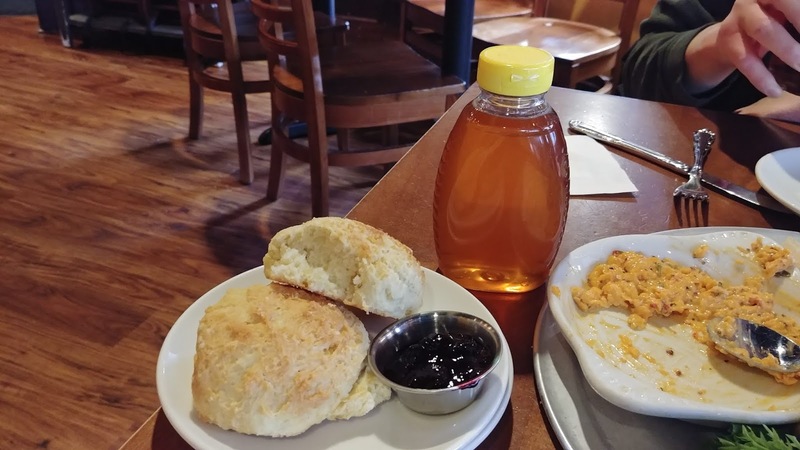 The last time I was in Asheville, I really wanted to try THC but did not have the chance. I'm glad we had a chance to go this time. We both ordered hot tea to warm up (we'd been walking around on chilly & windy day) and we ordered way too much food, but it was all good. We ordered Warm Pimento Cheese (served with tortilla chips). 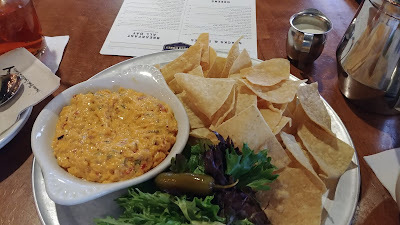 This was my last chance to have pimiento cheese (other than when I make it). This was yummy. It was warm and slightly melty but not too melty and now no nacho cheese sauce will ever be good enough for my tortilla chips. Biscuits with blueberry jam & honey. These showed up. They were good but it was tough to eat a lot of the biscuit because we had a lot of other food. 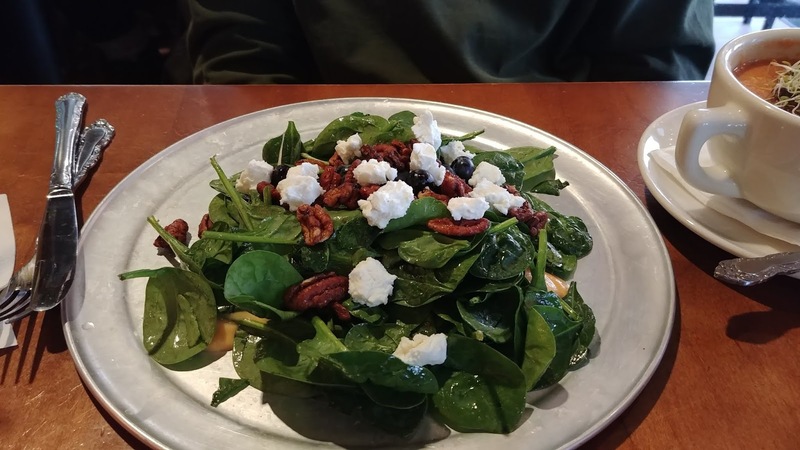 SP opted for healthy: Appalachian Spinach Salad (sweet potato puree, fresh blueberries, goat cheese, spiced pecans, maple vinaigrette). He liked it. 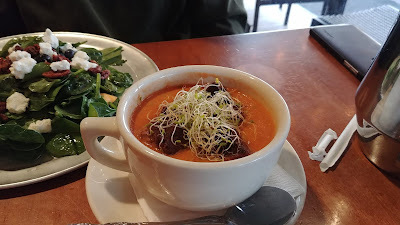 He also had some Creamy Tomato Soup (with pumpernickel croutons). He liked it but if I remember correctly, he said it had a bit of a kick to it? This is the one time I remember SP not finishing soup because he was too full! I had a Side Salad, which was fine, greens and carrots and radishes. I took advantage of my last day in the south to have Famous Fried Green Tomatoes (basil, goat cheese grits, roasted red pepper coulis). I thought the tomatoes were fried a little too long. They were very dark and were too crunchy. The grits were fantastic. 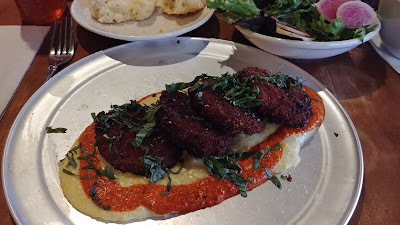 I'd order these again and hope that the tomatoes aren't over-fried like these were. We thought our food was tasty, our server was wonderful, we were tucked in a corner by a window. 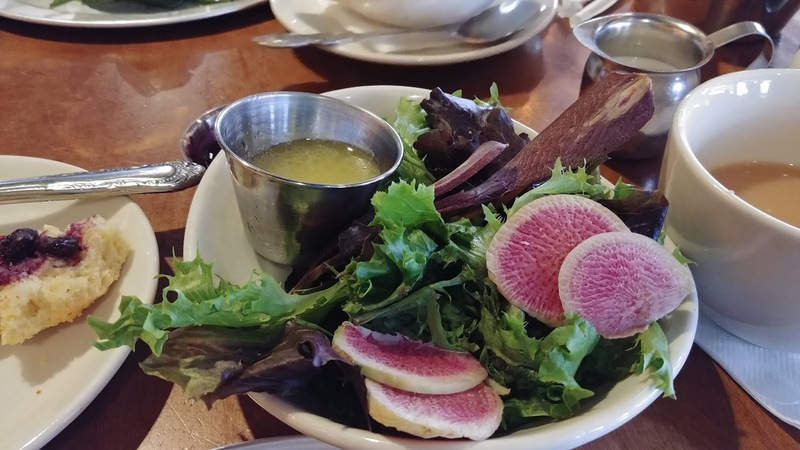 We'll go back the next time we're in Asheville. 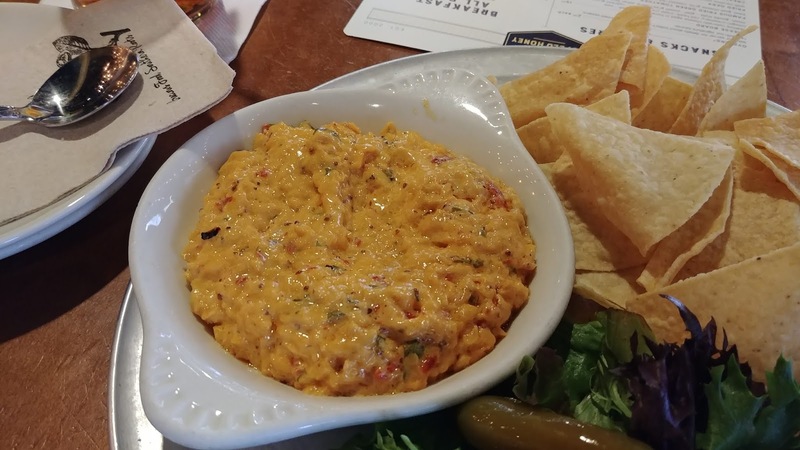 I won't be able to pass up the pimiento cheese tortilla chips!